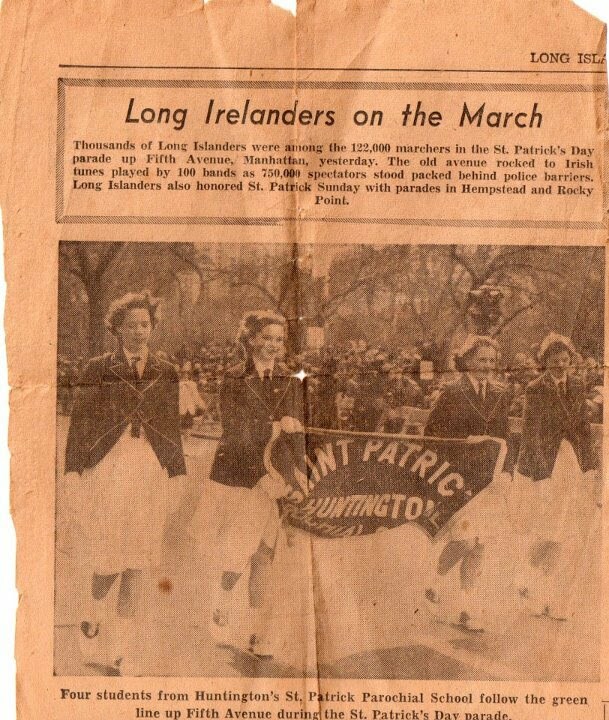 Pictured in the 1958 NYC Parade, holding the school banner, are, from left to right, Maryann Sullivan, Janet Still, Maureen Munson and Pamela Pecorora. Thanks to Maureen for sending us this article from the Long Islander. She remembers that they had a great time, even though it was very cold and windy, and that they had trouble holding the banner.